Properties in United Kingdom average 4.5 out of 5 stars. Villa in Broughty Ferry, With Harbour Views - visit V&A Dundee! Property 10: Villa in Broughty Ferry, With Harbour Views - visit V&A Dundee! Pet friendly 2 bed house at Atlantic Reach with vouchers for local attractions. Property 14: Pet friendly 2 bed house at Atlantic Reach with vouchers for local attractions. 104 Manor Villas, Atlantic Reach. Comfortable family accommodation . Property 18: 104 Manor Villas, Atlantic Reach. Comfortable family accommodation . 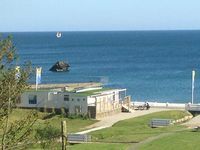 Tighnaligh Holiday Villa Rental Largs. 5 Bedrooms with en-suite. Sleeps 11. 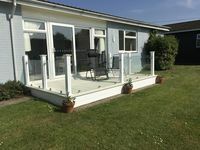 Property 41: Tighnaligh Holiday Villa Rental Largs. 5 Bedrooms with en-suite. Sleeps 11.